I promised myself I would not re-watch “Star Wars: The Force Awakens” for fear of being let down which is exactly what happened when I broke my promise. That I enjoyed it so vicariously the first time felt connected to the excitement of re-visiting a universe that meant so much to me in youth, and in that headspace, in that moment, it became nigh impossible to disentangle myself from personal emotion to truly (fairly) engage with the product. 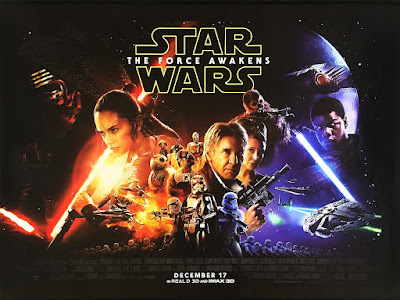 I sort of knew that, which is why I did not want to re-watch it, and so when I did, that personal emotion having died down, I saw that “Star Wars: The Force Awakens” is a movie about the movies that come next as well as the movies that came before and barely a movie about itself at all. If these days I am generally a television agnostic, one TV show that I did loyally watch beginning to end was “Alias”, ABC’s 2002-06 spy spectacular that transformed Jennifer Garner into a star. Its first, and by far best, years of existence were overseen by J.J. Abrams, who followed “Alias” with “Lost”, cementing his status as a master of the modern day serial TV show. He excelled at concocting fast-paced narratives that always concluded with cliffhangers as a means to ensure you would tune in next week. In other words, what “Alias” was most about was wondering what came next, springboards for Big Picture speculation taking precedence over how it was made to convey what it said in the moment. The most important moment in “Alias” always felt like it was just over the next hill, and then the next hill, and then the next hill after that. I suppose the “Star Wars” powers-that-be knew that Abrams specialized in whetting appetites when they hired him since they were specifically putting him in charge of kicking off a series. And that’s what “The Force Awakens” does, re-introduce old characters while introducing new characters and establishing the narrative that they will all occupy going forward, hurtling us through a bunch as a means to leave us wanting more. 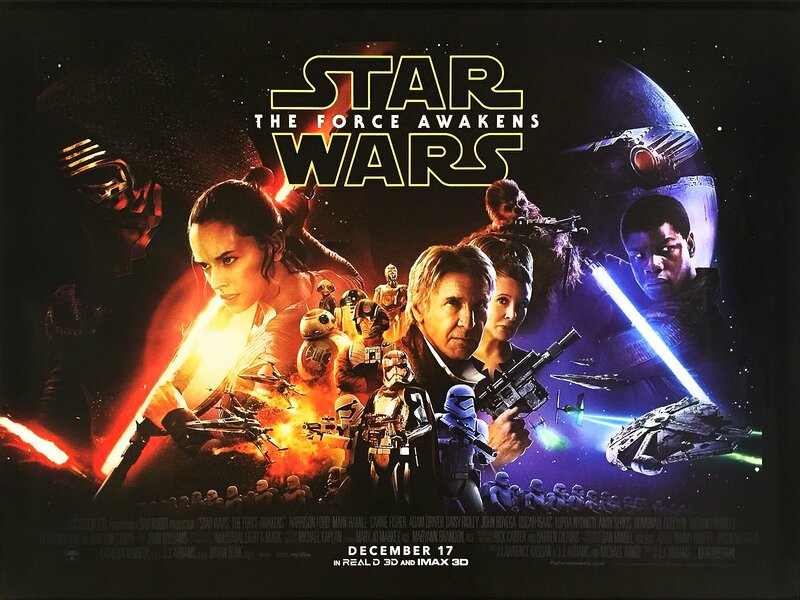 I had sort of forgotten it, but Daisy Ridley spends as much time running in the early parts of “The Force Awakens” as Jennifer Garner did on “Alias”, propelled from plot point to plot point, where the Millenium Falcon just suddenly appears as if by story decree and Rey is led to a light saber by some mystical narrative pull. The original “Star Wars” moved fast too, especially for its time and place I, though I dare say so many of us who came of age in the time of its fandom would not have done so if the film was simply preoccupied with what came next. After all, it was not titled “Episode IV” until later; it stood alone, even if Lucas had originally intended it as a first act. It’s not simply that the film’s ending was closed, but that the movie reveled in itself, in its places, in its adventures. One oft-heard “Force Awakens” lament was that it just sort of pilfered the plot of “A New Hope”, which isn’t incorrect, but might have been fine in a broad sense if it had more willingness to think outside the box anywhere else. In “A New Hope” there is the moment when Chewbacca and R2-D2 are playing holographic chess, a little detail that made the whole movie feel so lived-in, whereas Abrams quotes holographic chess rather than proffer his own invention, dispensing easter eggs rather than making something from scratch. 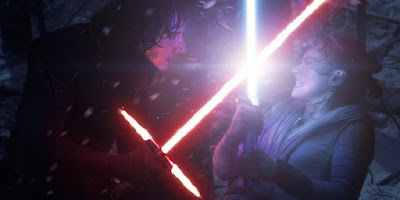 Too often “The Force Awakens” conspicuously demonstrates sentience as the first movie in a trilogy, like the climactic light saber duel where some sort of ill-defined avalanche prevents a satisfactory wrap-up because Abrams must keep moving forward. Lucas’s film, on the other hand, moved not so much eternally toward the distant horizon as crisply from setpiece to setpiece, putting emphatic punctuation on each one before swooping to the next, transforming the Death Star assault into an isolated extravaganza that became the exclamation point. Even the actors playing Uncle Owen and Aunt Beru (Phil Brown and Shelagh Fraser, respectively) share a chemistry so knowing in and of itself that it did not require the filling in of future films to resonate. The most emotionally affecting moment in “The Force Awakens”, meanwhile, is made so because of previously established relationships, and Abrams attempts to impart a little visual flourish go belly up when he cuts to the reaction of the series’ new characters, as if nodding once again to what’s next. When Ben Kenobi bit the dust it was afforded gravity preeminently by the manner in which Alec Guinness had the Jedi pull his light saber back and close his eyes, evincing a dude now suddenly operating on a higher, incommunicable plain, one of many reminders that, such as the way Fraser has Beru steal glances of Owen, “Star Wars” managed to push pause even in the midst of its speedy story to steal a few vibrant images that would and have lingered far longer than any cliffhanger. God, I wish J.J. Abrams would learn how to press pause.